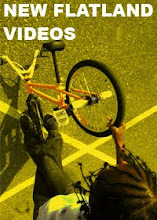 Flatland BMX - Six Quick Clips With Fat Tony from Fat Tony on Vimeo. My good friend Lindsay Matush and I went to East Africa for two weeks in the beginning of December, 2010. We both randomly filmed some video clips with our digital cameras throughout the trip with no real intention to use them for anything besides showing our friends when we got home. Once I returned I decided to edit the footage together using one of the songs we heard during a church service in Nairobi, Kenya, as the soundtrack. In this video you will see traditional African dancing at a few churches and orphan children being fed at a banquet in Kigali, Rwanda, Banyamulenge refugees in Burundi excited to see us, giraffes from the Giraffe Manor and elephants from an elephant orphanage in Nairobi, Kenya, and a few other random clips. 2010 East Africa Trip - Rwanda, Burundi, & Kenya from Fat Tony on Vimeo.